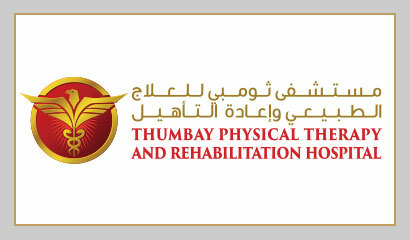 Master of physical therapy is a clinically oriented study program which is only one of its kind in UAE. The aim of the program is to provide a challenging and rewarding educational experience that enables students to develop as competent, evidence-based and patient-centred physiotherapy practitioners, capable of making a valuable contribution to the workplace. It is a two year (39 credits) program, spanning four semesters and accredited by Commission for Academic Accreditation (CAA), UAE. This program provides an opportunity for students to learn through didactics, problem-based learning, team-based learning, online learning, skill labs, evidence-based clinical physiotherapy practice and an independent research project which leads to successful completion and the award of MPT degree. With critical enquiry and evidence-based practice as the foundation, the program promotes the acquisition of cutting-edge clinical and research skills/ behaviours that are essential for a physical therapy practice in a complex and continually evolving healthcare environment. This program provides quality graduates who contribute significantly to the wider community, by using non-invasive, physical activity based lifestyle promotion for the healthy body and graduates with the potential to self-learn to grow professionally and to respond to change and challenges. 360-degree clinical assessment and feedback. Applicants shall meet all admission criteria for entry into the higher education programs offered by the University, as laid down in the Standards (2011) published by the Commission for Academic Accreditation (CAA), Ministry of Education – Higher Education Affairs, UAE. A Bachelor’s degree in Physical therapy from an accredited University in the UAE or equivalent one from outside the UAE. Applicant with an undergraduate qualification, apart from medium of instruction as English should provide evidence of acquiring a minimum TOEFL score of 500 on the Paper-Based test, or its equivalent on another standardized test approved by the Commission for Academic Accreditation (CAA), Ministry of Education – Higher Education Affairs, UAE at the time of admission to his / her undergraduate program. Native speaker of English who has completed his / her undergraduate education in an English-medium institution and in a country where English is the official language are exempted. 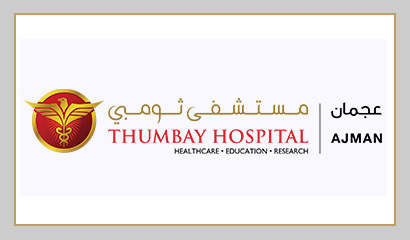 Master of Physical Therapy program (MPT) at Gulf Medical University is a graduate program aimed to equip students with advanced musculoskeletal, neurological and cardiopulmonary physiotherapy, and evidence-based professional practice training as a next-generation physical therapy clinician. Renowned experts from different specialization of physiotherapy with state of art facilities and laboratories such as gait-balance, virtual reality, robotics, ergonomics, hydrotherapy, electromyography, isokinetic, and exercise testing and prescription will define and advance your career progressed into the specialist level.